July 9th @ The Ugly Mug! Doing a feature at The Ugly Mug in the city of Orange on July 9, 2014! 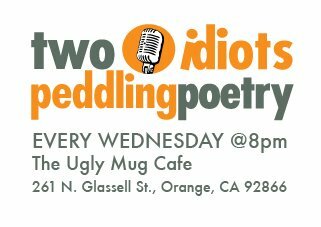 Hosted by Two Idiots Peddling Poetry, the reading starts at 8:00 P.M., has a great open reading, and very comfortable atmosphere for a small $3 cover.